Our best attempts at getting an early start didn’t amount to much but finally a sleepy Courtney dropped us off at yesterday’s spot. We started the day with a stroll through El Indio, a town that doesn’t really begin or end or seem to exist at all. Just a slightly higher concentration of buildings than normal and then back to road, barbed wire fencing, and horizon. Just past El Indio was the road that we badly wanted to take, Old Mines Road, which runs along the Rio and is the most direct route along the border. We had already decided to avoid it but today, with the turnoff fast approaching, and a misleading feeling of ease thanks to our chauffeurs Maddy and Courtney, we rethought our options. Keith, back in Langtry (and a fellow border traveler), said go for it; we’d save time and it's doable despite the admittedly higher human activity. He followed up by adding, don’t camp out though, get support. Bob’s friend said absolutely do not go down that road on foot OR in a vehicle. Even in a car, the driver shouldn’t slow down, make sure they put the pedal to the metal. Saúl was hesitant, saying nothing about the stranger dangers but warning us that the road is not driveable for anything but the best 4-wheel truck. The befuddlement continued when multiple BP greeted us early into our day, each with their own set of concerns about Old Mines Road. As usual, every agent had something different to say. Apparently we would run the risk of coinciding with groups of 50+ people traveling north? Shortly after this an agent told us it’s really dangerous and that we shouldn’t chance it, which made us brace for some upsetting story about all the “criminals” down at the border. Instead the agent warned us about the fast driving oil rigs that fly down the road! Come on, that's all!? Our alternative is walking on the shoulder of a highway with vehicles flying by at 70mph. But the competing stories and general theme of uncertainty drained what little confidence we had built up over the past couple days. 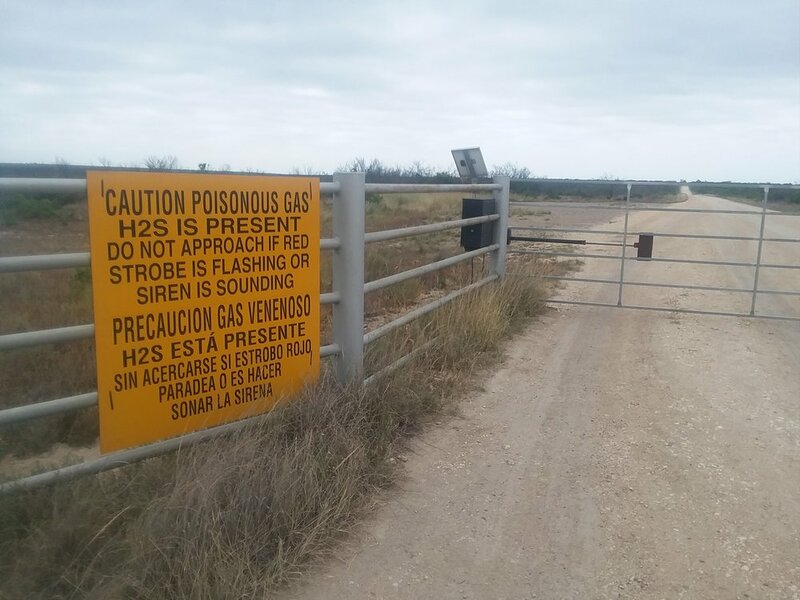 We chickened out in a panic and turned left, up to Carrizo Springs and away from Old Mines Road. Mementos from BP! That’s right the same two agents who greeted us this morning returned for a second chat, this time with a gift. When we had spoken earlier we had talked for a good chunk of time about the trip, and they had been fascinated and surprisingly supportive. They also had shared some history about the area. We had parted reluctantly and were touched to see them swing back around to give us one of the agent’s personal contact numbers in case of emergency and a Border Patrol hat. “Don’t tell anyone, we’re not supposed to give these out,” they told us, apologizing that they only had one! Aw, thanks guys! Another interaction with Border Porter that went a long way in challenging our negative perceptions. Someone in Border Patrol PR outta capitalize on those hats. Receiving a negative, he said goodbye, backed up the car and drove away, still looking confused. Maddy and Courtney pulled up a few minutes later, easily finding us on the only road out here. 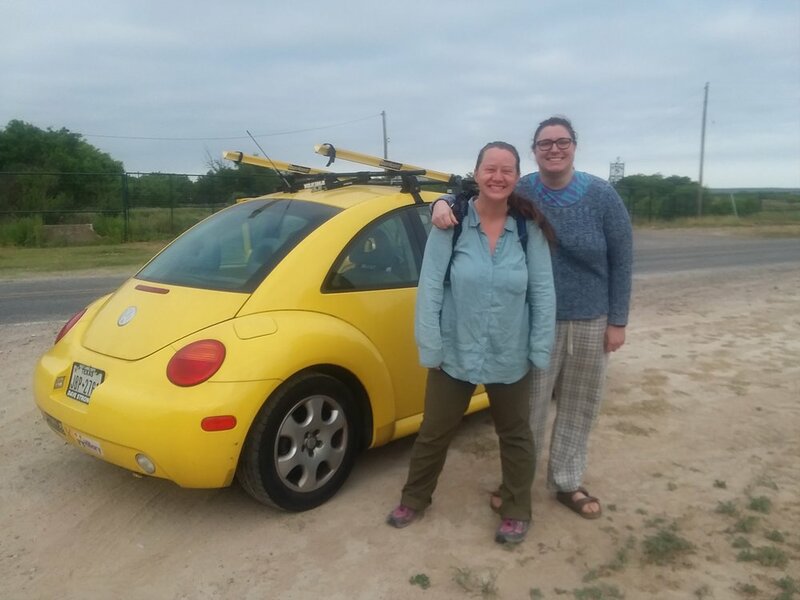 The two of them had crossed over into Piedras Negras at the Eagle Pass Port of Entry and regaled us with tales of the adventure. It’s an intimidating process when you’re not used to it and Maddy panicked at the reentry, overthinking the questions they ask and confusing everyone with her responses. Her self-deprecating account of the ordeal had us all cracking up. We love friends! Back in Eagle Pass we vigorously debated the pros and cons of different dining options and finally settled on breakfast food, always a winning choice. Pancakes, eggs, and a deliciously stupid horror film full of beautiful teens making terrible choices. All of the things we like!